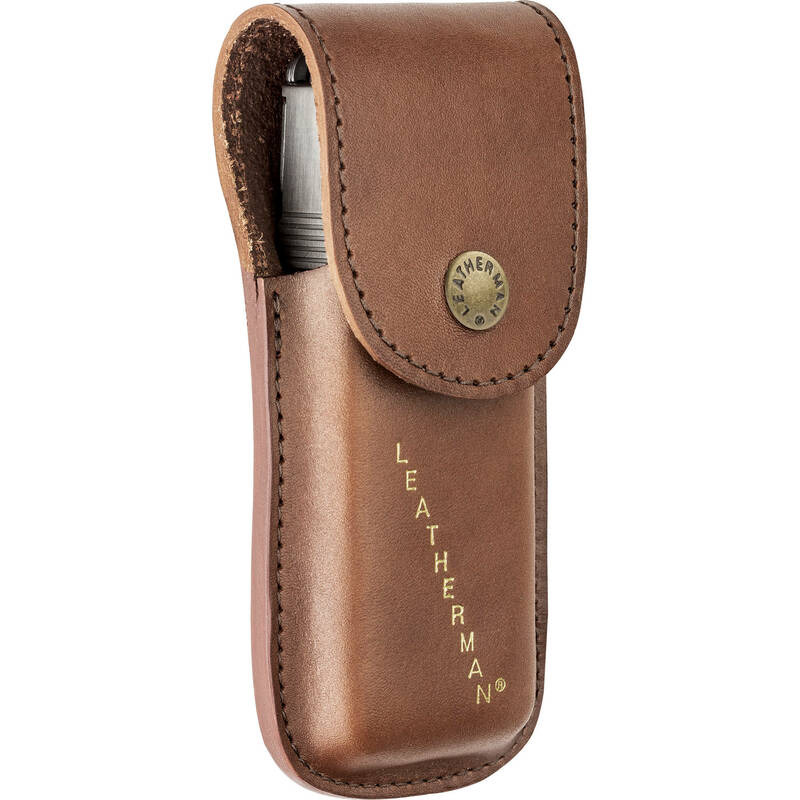 Carry your multi-tool in style with the large Leatherman Heritage Leather Sheath. Made of durable leather that will just get better looking the more it's worn and used, the top flap closes with a custom brass snap to keep your tool safe. A hefty loop on the back will fit most common belt widths. Measuring 4.75 x 1.5 x 0.8" (120.6 x 38.1 x 20.3mm), the sheath is specifically designed for Super Tool, Signal, or Surge multi-tools but you can think outside the box and use it for just about anything that will fit in it. Leatherman proudly makes the Heritage Sheath right here in the USA. Box Dimensions (LxWxH) 7.4 x 4.5 x 1.95"